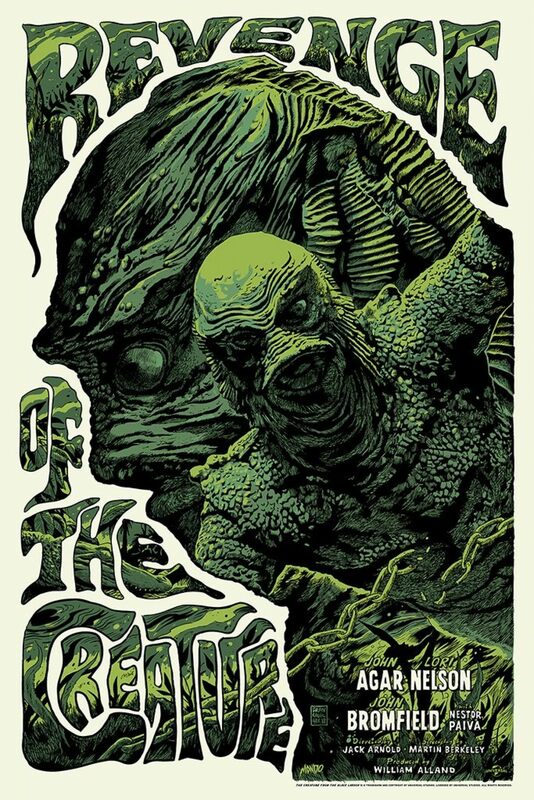 Heads Up: Mondo’s Dropping This REVENGE OF THE CREATURE Poster Tomorrow | Birth.Movies.Death. 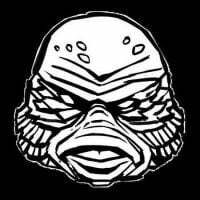 Hey, are you a Creature From The Black Lagoon fan? Are you so much of a Creature From The Black Lagoon fan that you've even got room in your heart for the film's little-seen sequel, Revenge of The Creature? Got some empty wallspace that needs filling? Have I got the Mondo poster for you. As you can see, this is Mondo's Revenge of The Creature, sharply rendered by the incomparable Francesco Francavilla. Both versions of the print will be on sale via Mondo's site tomorrow (yes, at a random time; yes, you should expect sellouts), alongside a new Planet of The Apes print and two new enamel pins. Assuming I'm able to score one, I have no idea where the hell I'm gonna put it, but that's irrelevant: all I know is that someone bothered to make a poster for Revenge of The Creature, and it is my solemn duty as a Creature From The Black Lagoon fanatic to purchase it. That's just how this works. Y'all into this one? Which version do you prefer? I'm leaning regular on this one because of the classic green, but that red variant ain't too shabby, either. Hit me with your picks in the comments below, and good luck to anyone chasing one of these down tomorrow.